George Pincus is our Latest Featured Speaker! Our latest featured speaker is George Pincus from Stearns Weaver Miller Weissler Alhadeff & Sitterson, P.A.! 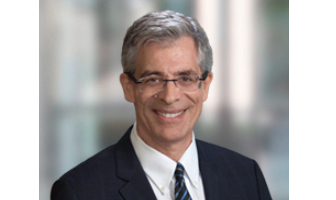 George A. Pincus is a Shareholder in the Real Estate Department and serves as a member of the Firm’s Board of Directors. As a transactional real estate lawyer, his practice focuses on office, industrial, retail and build-to-suit leasing representing both landlords and tenants, purchase and sale transactions for both buyers and sellers of office, industrial, retail, multifamily and vacant/developable land projects, real estate finance transactions with an emphasis on representing borrowers and developers in construction loans, term loans and refinancings with banks and life lenders, CMBS loans from securitized lenders, and multifamily loans from Fannie Mae and Freddie Mac, real estate private equity transactions, real estate development matters, and distressed debt transactions involving the purchase of defaulted mortgage loans from lenders and special servicers.